Call it the Oval Office virus. After less than a month in office, President Donald J. Trump, who as a candidate embraced WikiLeaks and a torrent of leaks about his rival Hillary Clinton's campaign, has become a champion of government secrecy. In a rowdy, 77-minute press conference Thursday, Trump said that he had personally instructed the Justice Department to open a criminal investigation into the leak of embarrassing information about his conversations with foreign leaders and former National Security Adviser Michael T. Flynn's contacts with Russia. While it is unusual for a president to ask for such a criminal investigation, or to discuss it publicly, no law prevents him from doing so. "It could be perceived as a political witch hunt," warned Susan Hennessey, a scholar at the Brookings Institution and former intelligence agency lawyer. Trump launched his war on leaks-and leakers-two Saturdays ago at a charity dinner at Mar-a-Lago, his "winter White House" in Palm Beach. When I interviewed him at the Red Cross ball, Trump denounced the leaks of transcripts of his phone conversations with leaders of Australia and Mexico as "disgraceful" and "very dangerous . . . for this country," and blamed the unauthorized release of the information on "Obama people." Political holdovers from the previous administration still serving on the White House and National Security Council staff, he said, were being "replaced." When leaks continued this week, Trump and top aides expanded the category of likely culprits to include the "intelligence community"-more specifically, the "NSA and FBI?" as he asked in a tweet. "Just like Russia," he fumed. White House spokesman Sean Spicer then chimed in, adding Justice Department officials to the legion of suspected loose lips. Over-classification of often mundane information is rampant in Washington. History has taught that some leaks-such as those surrounding the Watergate inquiry-are not only useful in a democracy but also an indispensable check on government misuse of power. As a journalist who went to jail for 85 days to protect my sources, I know that it is harder than presidents may think to identify, deter, and punish those who leak. Though technology and expanded government surveillance power have made it easier for the government to identify leakers, journalists know that officials leak for many reasons, some of them purely personal. In Washington, where knowledge is power, officials sometimes wish to inflate their own importance by demonstrating that they are in the loop. The current president has managed to alienate a range of potential sources of information. Many now wish his administration ill.
As a candidate and as president-elect, Trump repeatedly challenged the findings and motivations of the federal government's 17 intelligence agencies. For months, he refused to accept their "high confidence" conclusion that Russia had attempted to meddle in the 2016 election, as well as a later estimate that Moscow did so to help Trump become president and undermine public faith in democracy. During an October presidential debate, Trump questioned whether the hacking had even occurred, adding, "they always blame Russia." In December, he complained about the intelligence community's public track record-tweeting about the erroneous determination that Saddam Hussein possessed unconventional weapons before the 2003 Iraq war: "These are the same people that said Saddam had weapons of mass destruction." In January, he accused intelligence officials of leaking an unsubstantiated report that Russia had damaging personal information about him, comparing the leak with "living in Nazi Germany." Trump's harsh attack on the intelligence community prompted an unusually sharp rebuttal from John Brennan, the outgoing Central Intelligence Agency director, who said he doubted that Trump understood the threat posed by Russia, and that he took personal "umbrage" at the comparison of intelligence officials with Nazis. When hundreds of career officials at the State Department signed a so-called "dissent cable" objecting to Trump's executive order temporarily banning entry visas for people from seven predominantly Muslim countries, White House spokesman Sean Spicer urged them to quit. Arguing that the executive order "runs counter to American values" and might intensify the terrorist threat, many signatories fumed when Spicer denigrated them as "bureaucrats" and urged them either to "get with the program or they can go." Given the hostility among so many career civil servants, the White House should not have been surprised that veterans of the Washington policy process-and not just at the State Department-were angry about a visa halt promulgated and unveiled without their input. While Trump prefers to blame reporters and career civil servants for disseminating what he calls "fake news" about him and his team, his White House is said to have deep personal rifts and policy divisions. Members of the GOP "establishment"-and such traditional Republicans as White House chief of staff Reince Priebus and Vice President Mike Pence-have chafed at the influence of such advisers as Steve Bannon, who have championed the need for a revolution in Republican ranks. The upstarts also favor massive infrastructure spending to spur growth, protectionist measures like import tariffs, and working closely with Russia to combat terrorism. Mistrust between Trump, Pence, or their respective aides may also help explain why senior White House officials failed to inform the vice president for more than two weeks that Flynn had misled him by saying that he and Russian ambassador Sergey Kislyak had not discussed the lifting of sanctions against Russia, when transcripts of their conversations show that they apparently had. Chris Cillizza, the Washington Post columnist whose work appears on JWR, has another explanation for the leaks. As senior Trump adviser Kellyanne Conway acknowledged during the campaign, Trump is heavily influenced by what he hears and sees on TV and in the media. As a result, aides may be trying to influence his decision-making by getting policy disputes aired on cable TV or through newspaper articles. "It's uniquely possible that these leaks are aimed at reining him in, showing him that when he acts like this with, say, world leaders, it makes him look bad," Cillizza recently wrote. His second theory is even less flattering to Trump. Some senior officials have concerns about the president's judgment and fitness for office. Cillizza thinks that they may be trying to use selective leaks to let people know what is really going on inside the White House. My reporting suggests that there is no shortage of civil servants who are offended and alarmed by the steady stream of "alternative facts" being advanced by Trump and his senior aides. In less than a month in office, Trump has issued a series of whoppers-virtually none of which he has retracted. He insisted that the crowds at his inauguration were larger than at Obama's. He claimed that he would have won the popular as well as the electoral vote had "millions" of illegals not voted. He said that America's murder rate is "the highest it's been in 47 years," that terrorism in the U.S. and Europe has become so mundane that the press no longer reports attacks, and that only "109 people out of hundreds of thousands of travelers" were affected by his immigration refugee executive order. Such exaggerations and misstatements of fact rattled even some supporters. 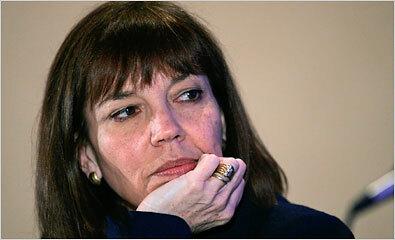 Judith Miller is a City Journal contributing editor, where this first appeared. Her latest book is The Story: A Reporter’s Journey.